Personal data is any information you provide that enables you to partake in our research and campaign work and includes your name, address, email address and post code. This also includes information about any donations you might make or advocacy actions you may take part in. This includes where you might “follow”, “like” or otherwise link your social media accounts to our work via a third-party website. Any correspondence you send electronically may be retained, such as the content of your email messages, your email address and our response. We may also retain any information you upload or post on Global Britain social media (websites, Facebook and Twitter) such as profile pictures and comments. Your personal data may be shared within Global Britain (i.e.  between staff), and with organisations and partners we have a strategic relationship with as part of the work, or that perform work for Global Britain to provide services on your behalf. This is normal practice for political campaigns in the UK. In every instance these organisations and partners will only be supplied with the minimum amount of personal data they need to fulfil the services we request. They are obligated to protect your data in accordance with our policies. As part of that sharing we require our partners to never publish your personal details without your consent, and we do not pass your personal details to political parties (our partners may include people that otherwise work in known political parties but their parties do not get access to your data). We have in place measures to protect against the loss, misuse, or alteration of the information under our control. All collected data is stored in locked, secure environments, and any staff or volunteers working on behalf of Global Britain will only ever have access to the information they need. If the information we hold about you needs to be corrected or updated, you would like to be unsubscribed from receiving our materials, or have any other questions or concerns about our use of your personal data, please contact us at globalbritainenquiries@gmail.com. To request a copy of any information we hold about you, please send proof of identity to globalbritainenquiries@gmail.com which we will respond to within 40 days. Global Britain will authorise the complete destruction of its database as soon as reasonably practicable following cessation of its operations. Data will not be retained or transferred to any successor organisation for any purpose unrelated to the purpose of Global Britain. You can contact us in writing at the address above or via email at globalbritainenquiries@gmail.com.